This is an example of tying together two unrelated pages using similar spacing on both sides, as well as washi tape. On the left side of this spread, I used blending tools to apply Distress inks through a stencil. 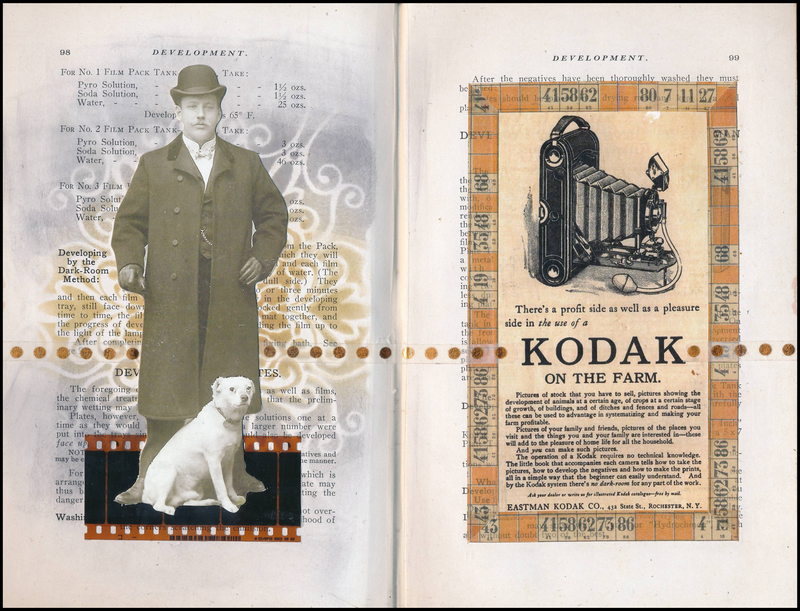 I then added a strip of photographic negative, and an image from the Tim Holtz Ancestors Paper Doll collection. On the right side of the spread, I adhered a found image to the page with washi tape. A strip of washi tape connects the left and right sides of the page, uniting them visually. Simple, but effective! Tim should be giving you a commission, very nice see you Saturday.